Millions of people were -- and still are -- simultaneously bewildered, frustrated, and amazed by the problems posed by Rubik's cube. 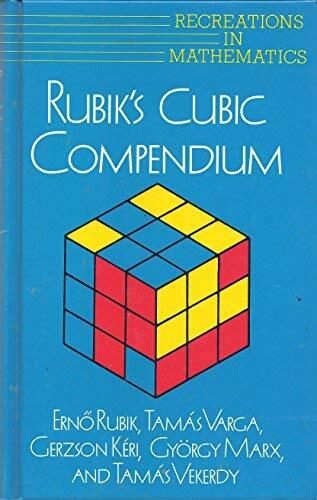 Co-written by the cube's inventor, this book serves as a comprehensive guide to the cube for both the puzzler and the mathematician. The book reveals the wealth of fascinating mathematics concealed within the cube's apparently simple operation, and even those who have solved the cube will discover a vast number of new ideas and possibilities.